The employment attorneys at Nardone Limited in Columbus, Ohio regularly assist our clients with labor and employment issues, such as Department of Labor compliance, as well as Equal Employment Opportunity Commissions (“EEOC”) and the Ohio Civil Rights Commission (“OCRC”). Our employment attorneys also regularly update clients on news, events, and changes in the law as it relates to labor and employment issues that may impact or interest our clients. In Janus v. American Federation of State, County, and Municipal Employees, Council, the United States Supreme Court ruled against unions, which is a landmark decision that will drastically impact public workers and the financial stability of the public-sector unions. The case dealt with the power and ability of unions to collect fees, referred to as “agency fees” or “fair-share” fees, from non-union members. The agency fees were collected from public-workers who chose not to join unions, and the fees were directly deducted from the employees’ paycheck by the employer. In Janus, the Supreme Court held that collecting these fees in the public sector from non-union members violates the First Amendment rights of those individuals, as it forces non-members to pay for speech that they may disagree with. The decision stated “this arrangement violates the free speech rights of nonmembers by compelling them to subsidize private speech on matters of substantial public concern.” The court held that public-sector unions cannot force workers to finance union activity in which the worker was not a member. This decision affects both employers and public workers, such as teachers, police officers, and state government employees. Overall, the decision means that non-union members are no longer forced to pay agency fees and those fees will no longer be deducted from a public employee’s wages by the employer. Upon issuing the Janus decision, employers should have stopped collecting agency fees for the unions from non-union members. Moving forward, employers should only deduct agency fees from the wages of those employees who clearly and affirmatively consent, or opt-in, to pay the union. Because of the Janus decision, employers can also expect fewer employees to join the unions. As a reaction to potentially lower membership, unions may try to show their value to employees as an attempt to keep current members or to attract new members. As an example of the unions trying to show their value, the union might become more adversarial to employers, or bring forth more labor disputes. 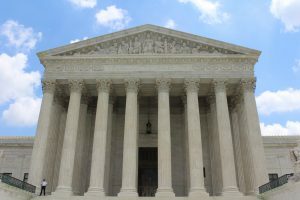 Employers should be aware of this, and should always consult an experienced labor and employment attorney when faced with labor disputes from both individual workers and unions. Employers should also work with the unions and the unions’ labor and employment attorneys to ensure that their employees’ rights are protected, and that employees are no longer being coerced into joining the union. Employers should also carefully review all provisions in their employment contracts, which includes contracts with individual employees and collective bargaining agreements, for provisions that could potentially coerce employees to join the union. The provisions to be aware of are “maintenance of membership” provisions, which restrict when union members can join or leave the union, and any wage deduction provisions. Employers should also discuss and communicate with the employees, especially newly hired employees, the impact of the Janus decision so that employees are fully aware of their rights regarding agency fees going forward. The employment attorneys at Nardone Limited handle a full spectrum of employment law issues, including business disputes and litigation, drafting employment agreements, negotiating employment agreements, and overall consultation on all types of employment law issues. If your business needs advice or representation on an employment dispute before the EEOC, the OCRC, or regarding potential employment litigation, contact Nardone Limited. Feel free to contact Nardone Limited if you would like more information or consultation regarding any employment law issue.